People who bought property off-plan were amongst those hit the hardest when the UK's property market stalled during the global financial crisis. Some buyers could no longer secure mortgage funding to complete on a purchase to which they were contractually bound. Others found themselves beholden to property developers who stopped working on their construction projects because they could no longer obtain finance. Buying off-plan was no longer the sure-fire investment it had once seemed. Together with the putative financial recovery buying off-plan is, we are told, back. A shortage of existing properties may make new developments more attractive to buyers who do have a mortgage. However, buying off-plan now comes with new rules to reduce the risks associated with investing substantial sums of money in a computer-generated artist's impression of a property. The Consumer Code for Home Builders was introduced on 1 April 2010. The code is voluntary and was developed by providers of new home guarantees or Home Warranty Bodies. Although the Code is voluntary, builders who are registered to provide guarantees for their developments through one of these companies must ensure that they operate in accordance with its requirements. Builders who do not comply with the Code may find themselves unable to offer a new home guarantee on the properties they build – making a property far less marketable than one which comes with a 10-year guarantee. The Consumer Code was developed following reports and studies into the new-build market – including a major report carried out by the Office of Fair Trading (OFT) which was published in late 2008. The Consumer Code is intended to reflect the recommendations made by the OFT in its report. The Consumer Code offers protection to buyers at all stages of the process of purchasing a property off-plan. This means that it may offer protection before a buyer has even entered into a contract with a property developer. The Consumer Code applies to buyers who reserve a new or newly-converted property from a builder registered with one of the relevant home guarantee companies on or after 1st April 2010. The Code also has an accompanying complaints and adjudication procedure in case things do go wrong. The Consumer Code scheme is operated by a board made up of members of relevant professional and industry organisations – including builders, mortgage lenders and the home guarantee companies themselves. The Consumer Code contains core requirements that home builders and property developers are expected to satisfy. The Code also contains detailed guidance on what is considered to be good practice - setting out how builders and developers can satisfy their duties under the Code. Builders and developers do not necessarily have to follow the specific procedures laid out in the Code in order to satisfy it. However, if they adopt different procedures to comply with the Code they must ensure that the methods they use achieve the same result as those suggested in the Code. Builders and property developers must make the Consumer Code available to prospective buyers and ensure that staff members receive training on the Code. The Code places pre-contract obligations on builders – these include requirements to provide sufficient information to allow a prospective buyer to make an informed decision about a property. A clear and comprehensive reservation agreement setting out the terms of the reservation must then be used. The Code also sets out what should be included in a contract for the sale of a property and requires builders to offer an after-sales service and a customer complaints procedure. Under the Consumer Code's dispute resolution service, a trained adjudicator can make rulings on disputes between builders and home-buyers due to a builder's alleged failure to comply with the Consumer Code. The adjudicator's decision will be based on written submissions from the parties. This scheme should only be used after the buyer has complained directly to the builder and made a claim against the new home guarantee for the property. “Registration” fees are payable by both the buyer and the builder when a complaint is dealt with by the dispute resolution service. When an adjudicator finds that a home buyer's complaint is valid he may require the builder to do something to rectify the problem, order a financial reward of up to £15,000 to compensate the home-buyer for financial loss or make an order combining these two powers. The home buyer may then decide whether they wish to accept or refuse the decision. 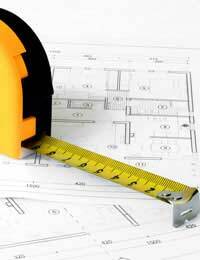 Under the requirements of the Consumer Code, builders must accept the adjudicator's decision.